The compact SafePace 650 variable message sign offers the flexibility of our full size customizable SafePace 600 and 700 signs in a compact, lightweight design. With static Your Speed text, the display matrix offer the flexibility to display driver speed, driver-responsive messaging, or graphics of your choice. With all the versatility, options, and visibility of a full size sign, the SafePace 650 is 30% smaller and weighs just under 11.3 kg. 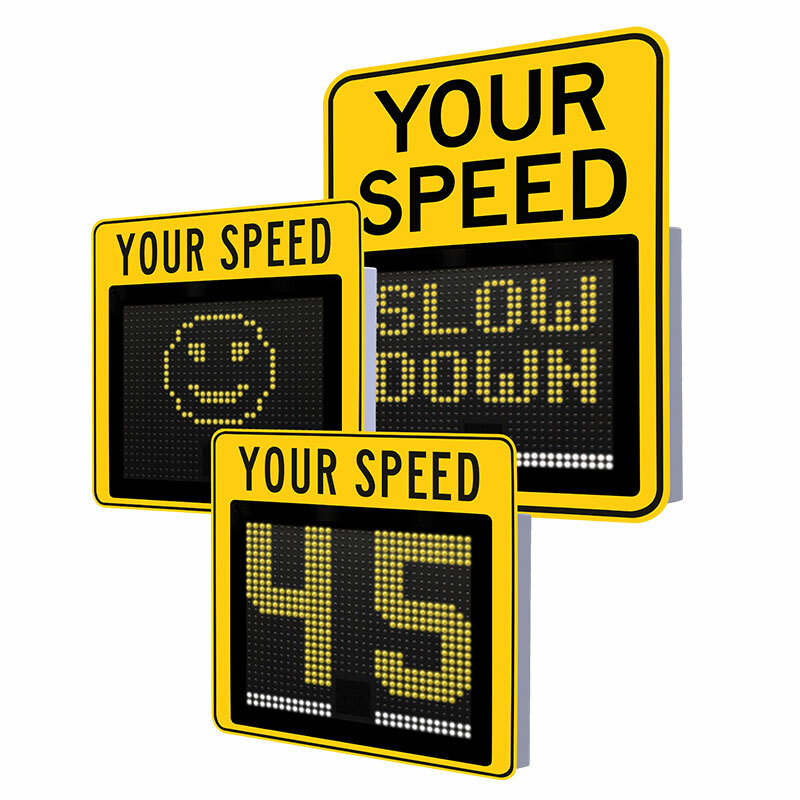 Choose the SafePace 650 speed display sign for a compact sign with full size impact.